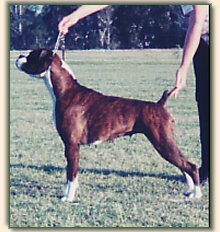 Puppy on the day at Sydney Royal he went on to be a Multi CC, RCC, BOB at Royals. 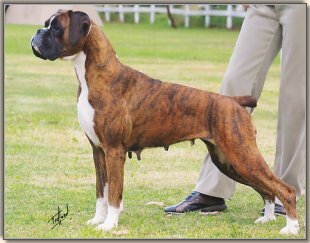 A Multi BISS, RUBISS, RCC + Classes in Show at Specialty�s. 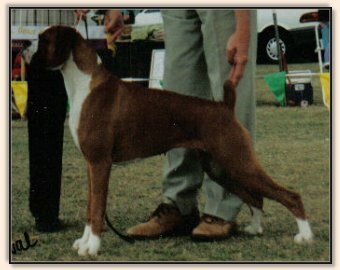 Utility Dog Club Champion of Champions Competition. 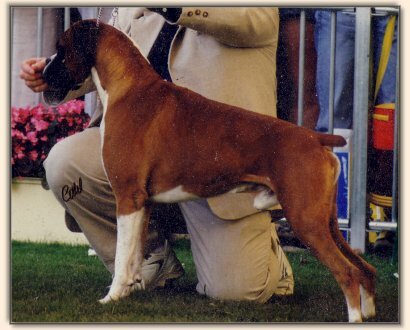 He has been Top Dog on both Boxer Club point scores and always in the top ten. 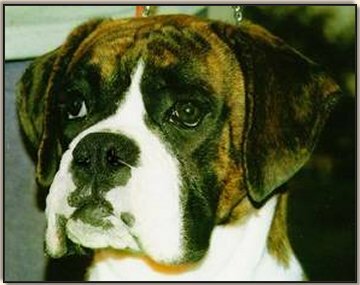 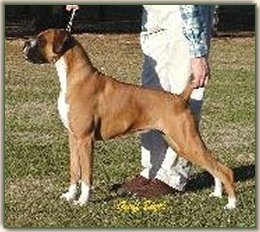 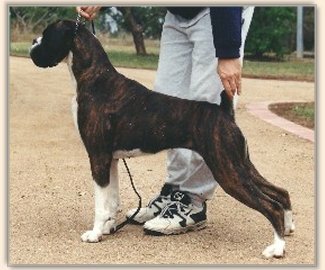 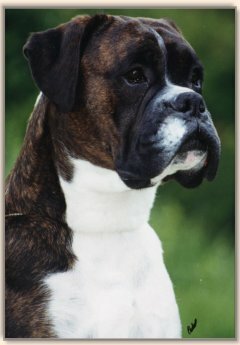 Punch is a Multi Group, Class in Group and Class in Show All Breeds winner. 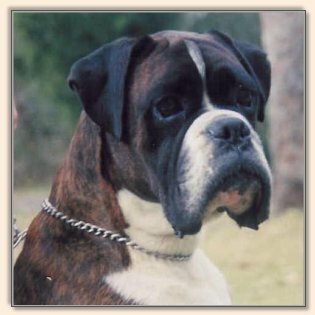 And also won the Boxer Club of NSW pointscore in 1998 and 1999.